Hello Fabric Mart Fabricista Readers! To begin this post, I would like to introduce myself. My name is Serena and I am an advanced beginner in the sewing arena. I learned everything I know about sewing from my mom, who always provides excellent advice (whether I listen the first time or not). My mom is Ann (here's her blog) and I am guest posting for her this month. Two of my favorite people had their wedding earlier this month. I was extremely excited and honored to be asked to be in their wedding party as a bridesmaid. They generously allowed a bring your own outfit with minimal criteria for the ladies - wine/burgundy in color, knee length. 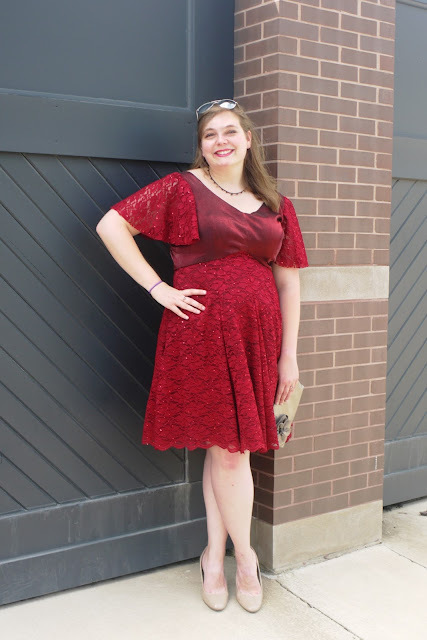 After looking through some patterns with my mom we found Vogue Misses Princess Seam V Neck Dress which had a flattering fit and flare style, had pockets, and could easily look dressy. To fit the color criteria we looked to Fabric Mart. 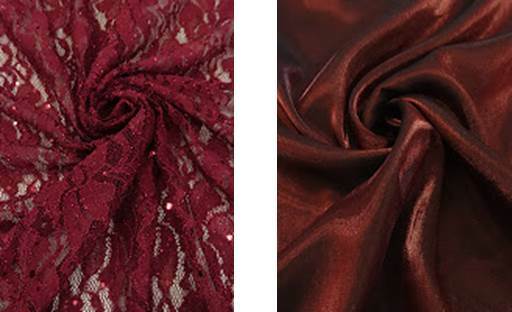 We found a beautiful burgundy satin and dark red lace with sequins (no longer available). I've been wanting to try to do a lace overlay for a few months now and this was a great opportunity. 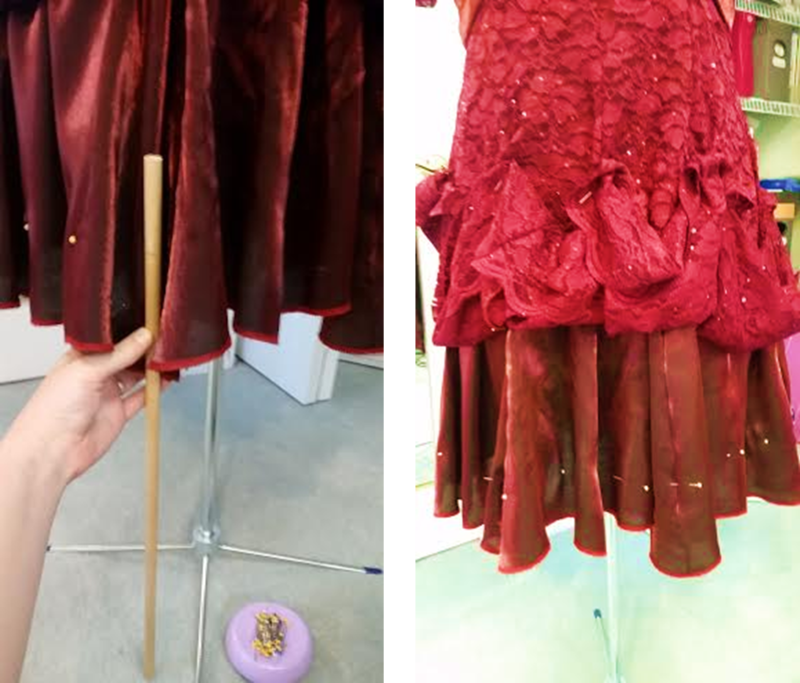 After a thinking through a couple of layout options, I decided to only do the overlay on the skirt, make the bodice with only satin, and tie it together with lace for the sleeves. 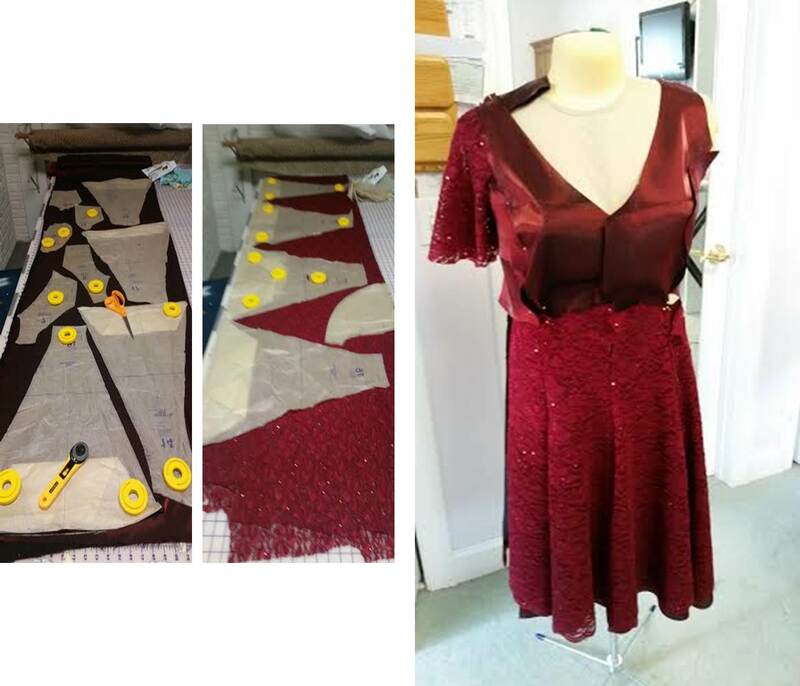 After ordering the fabric, it was time to make sure the fit was right before cutting the final fabric. I looked to my mom's stash and found a bright floral pique with an amazing texture. She had received this fabric in a mystery bundle from Fabric Mart. After some fitting adjustments on the bodice I was very happy with the muslin. As a general rule I cut the shoulders one to two sizes smaller than the bodice - for this pattern it still resulted in very wide set arms. Happy with the the plan moving forward - it was time to cut! For the lace I wanted to have the scalloped edge feature on the skirt and adjusted the layout accordingly. Prior to sewing the final dress, I added all the cut pieces to a dressform to make sure it has the look I wanted, decide whether or not to include the sleeves, and get the approval from the bride on the design. One unique challenge for this dress was putting in the pockets without having them visible through the lace. This was challenging because the lace and the lining needed to be free of each other at the bottom to allow a hem on the lining. In order to do this, I stay stitched the lace and lining together, leaving roughly 5 inches free at the bottom. From there, I added the pocket to be underneath both the lace and lining. I was pleased with the finished look using this technique. A new technique I learned while making this dress was how to hem a very large skirt! As a procrastinator, I decided to finish the hem the day before the wedding. My gift to the bride and groom was to make their wedding cake (also made the day before the wedding) so the hem got pushed back to midnight. 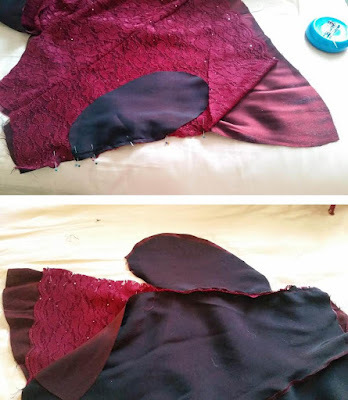 At that point it "looked good enough" and I hand stitched every few inches with the full intention of coming back and fixing it at a later time. The day of the wedding alongside a pair of comfy shoes, I carried a spare pair of sewing scissors, thread, and a needle just in case any pieces got loose in the hem for a quick fix. After the wedding I came back, undid the stitching, and put the dress on the dressform. Using a stick marked with a height relative to the ground I followed through to pin across the full skirt. This worked really well to get an even hem. Finally it was time go for a photo shoot! My mom and I went to an old train station (now occupied by a much loved BBQ restaurant). We really liked the contrast of the rustic backdrop compared to the bright and upscale dress. Below are a couple of my favorites! 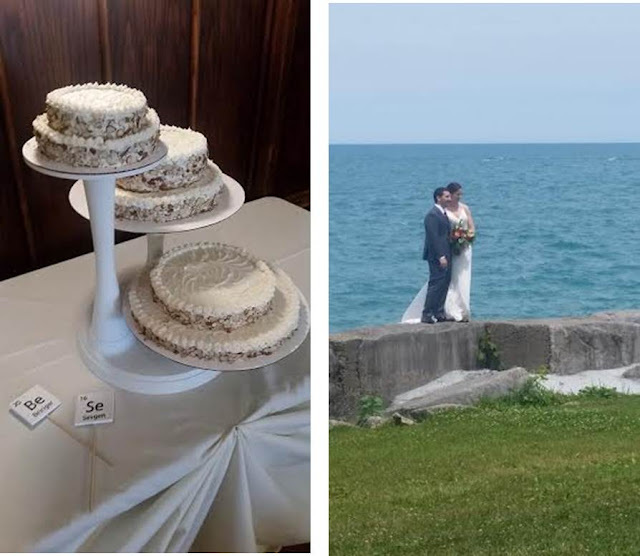 Additionally, I would like to share a photo of the cakes I made, and a picture of the couple from their big day! The cake is an almond flavored white cake, with an amaretto soaking and a fresh lemon curd. The cake toppers are an homage to their shared love of science mimicking elements from the periodic table, made by the bride. Both are PhD candidates in the sciences at University of Chicago. Here is the couple standing by Lake Michigan in Chicago's Hyde Park. Congratulations Ana and Emre!!! Inspired by writing this blog post I've decided to start my own blog - That's Sew Serena. 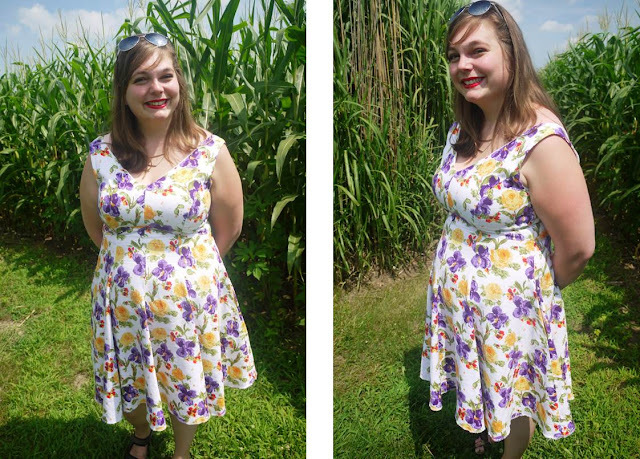 Happy summer sewing! Lovely dress. You look beautiful in it. And the cakes! 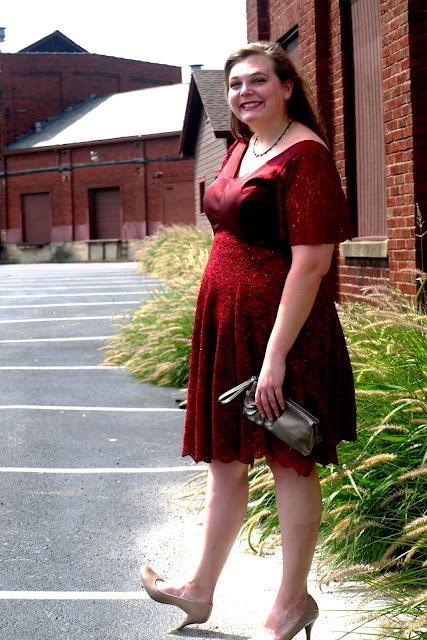 This was truly a very tricky dress to make, and you did a beautiful job with it! I love the cotton pique version as well. All i can say is awesome!The dress and the cakes was very nice.